The Prism is our most popular composite solo canoe. Incredibly versatile, it'll take you comfortably over all kinds of waters. Blending efficiency, stability, capacity, and finesse, it's ideal for cruising with a light load, but also has the volume needed for medium-length trips. Canoe & Kayak Magazine said it well when they wrote, " The Prism is all about glide and speed. It's a lean boat that tracks the best of those reviewed, yet will turn quickly enough, and returns to a stable position more readily than other fast canoes." Actual colors may vary due to display differences. May not be the Prism. Shown with optional black aluminum trim. 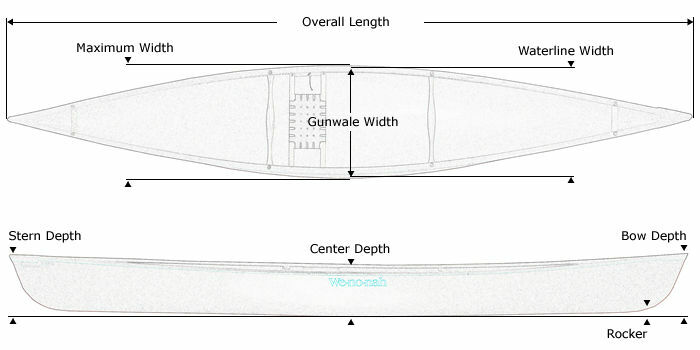 Tuf-weave® Flex-core canoe shown with Standard Options, may not be the Prism. Kevlar® Flex-core canoe shown with Standard Options, may not be the Prism. Kevlar® Ultra-light canoe shown with Standard Options, may not be the Prism. Graphite Ultra-light canoe shown with Standard Options, may not be the Prism.